Intended use: Training runs, non-competitive mid-long distance. 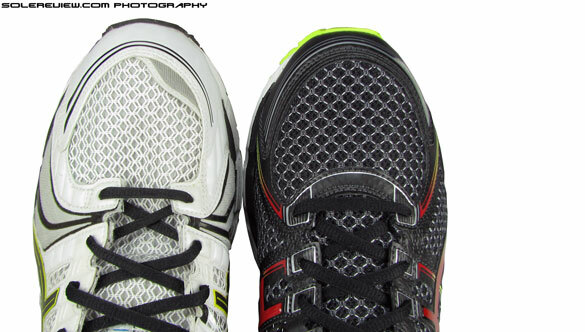 Upper: Welded-on synthetic leather, TPU welding and heel counter, open spacer mesh. Midsole: Compression molded, two layered EVA foam, dual density insert below the arch, Gel cushioning units, thermoplastic (TPU) shank. The Kayano 19 is softer than the 18 owing to a redesigned sole unit, increasing its appeal to neutral runners who want a balance of cushioning and support. But the soft ride goes against what the Kayano has been about all these years, and might turn away ardent followers of the two decade old franchise. Asics is pursuing squishiness with a vengeance. Of late, its shoes are becoming softer. The firm Nimbus 14 transformed into a candy-floss-soft Nimbus 15. The Kayano, which till 2012 was a go-to shoe for a firm, stable ride has changed into the shoe which is the 2013 Kayano 19. And what kind of a shoe is that? One with dollops of cushioning, and in the process, completely changing its character. As if Asics’ midsole foam supplier went on a black Friday sale, and the brand decided to make the most of the sunshine. 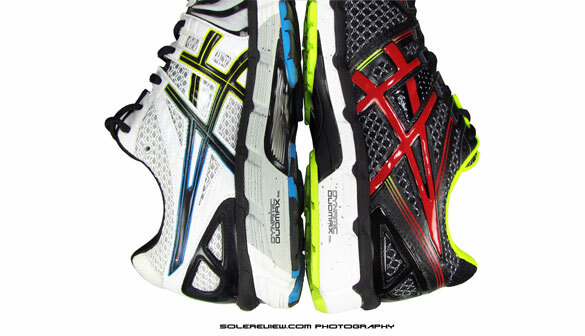 It might sound incredulous, but the 2013 Kayano 19 feels closer to the 2012 Asics Gel Nimbus 14 than the Kayano 18. Yes, we just said that, and whether you believe that or not, the truth has been diligently wear-tested. For a good part of the last two decades, the Kayano was classified as a stability shoe, a category which offered a firm ride with pronation control features. Things like a solid, well gripping upper and a contrast coloured, firm midsole area on the medial side were visual cues easily recognised by the sweaty hordes of Kayano loyalists. It was a stability shoe sought by many low arched and flat footed runners, and the Kayano welcomed all with open laces. Considering the legacy, runners transitioning from the Kayano 18 to 19 will find the change disconcerting, to say the least. It rides soft all the way from heel to toe, flexes better in the forefoot and loses a lot of flab on the upper, making it much lighter. Asics brandishes the word ‘structured cushioning’ with much gusto when describing the Kayano 19. 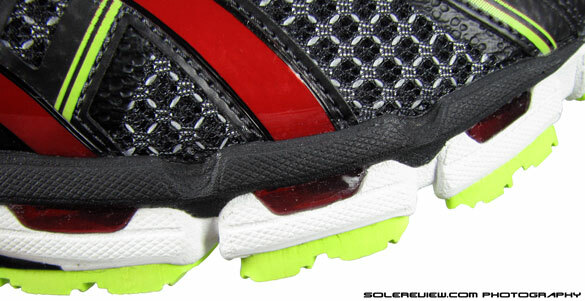 Which really means that the shoe is now more suited for neutral runners and mild pronators. If the Kayano 18 was a stability shoe, the Kayano 19 is a motion control shoe, much along the lines of the Nike Structure 17 and Lunarglide. 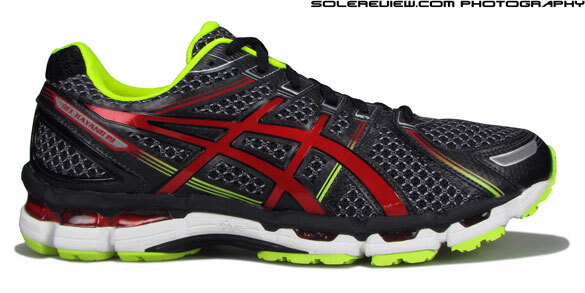 If Asics’ goal was to amplify the Kayano’s appeal to a wider spectrum of runners, it succeeds with its 19th version. Conversely, it has the potential to alienate runners who have long looked up to the Kayano as a stability shoe, the hallmark of which was an accentuated firm ride. 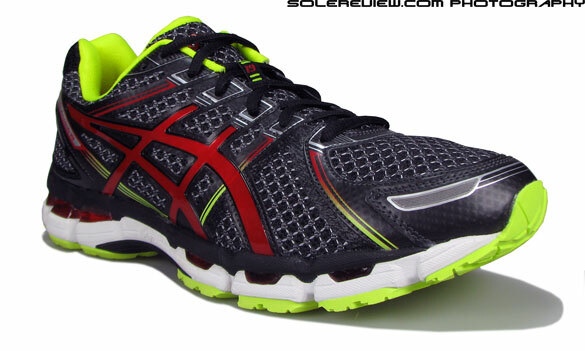 So what exactly does Asics do with the Kayano 19 to achieve this transformation? Before answering that question, we’d like to underscore the fact that the Asics Kayano 19 feels a lot more cushioned than it actually is. The sensation of substantially increased cushioning is undeniable, the source of it being the revised heel crash pad placement – more than anything else. Visually, the crash pad looks to be in the same place as the Kayano 18, but after multiple rounds of inspection and tape measurements, we found out a small, yet significant change. 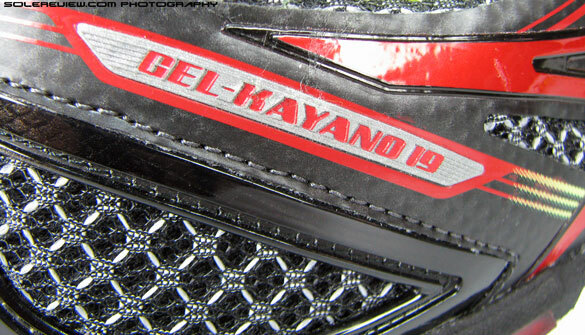 The Kayano 19’s heel crash pad protrudes outwards away from the heel by at least 5 mm relative to the Kayano 18. What effect does this have on cushioning? For most runners (read heel to mid heel strikers), the edge of the outsole will touch the ground earlier compared to the Kayano 18. This increases the duration and contact surface area of the heel strike, which the mind will interpret to be better cushioning. The change of the crash pad position is supplemented by wider flex grooves, which only further fuels the perception of added padding, because the grooves help the crash pad to act as an isolated cushioning unit. One could argue that the level of the soft midsole foam has increased in the Kayano 19’s heel, leading to softer cushioning. But then at the same time, the visible Gel area is reduced so in the end, it is basically a net-off. The changes in the forefoot also lead to a sense of improved padding. 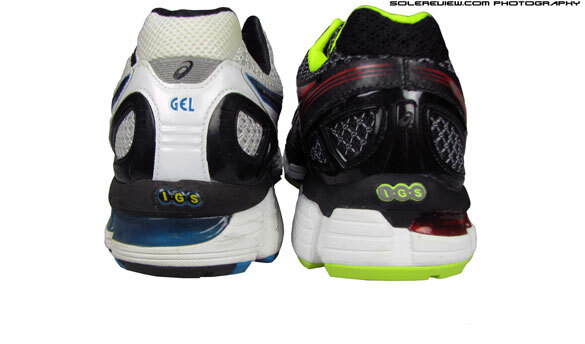 The thickness of the soft and firm midsole foam has a 60:40 split (from 80:20 in the Kayano 18), and the medial side gets another visible Asics Gel unit sandwiched between the midsole layers. 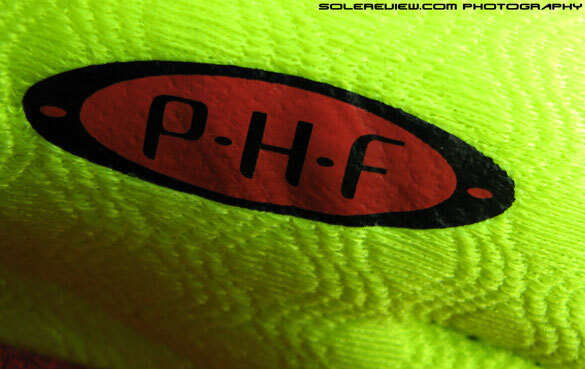 The increased firmness of the midsole is compensated by a corresponding decrease in the forefoot outsole rubber. The blown rubber units are softer than the ones used in Kayano 18, and forefoot contact with the running surface comes across as more gradual and muffled. Flexibility gets a boost too. 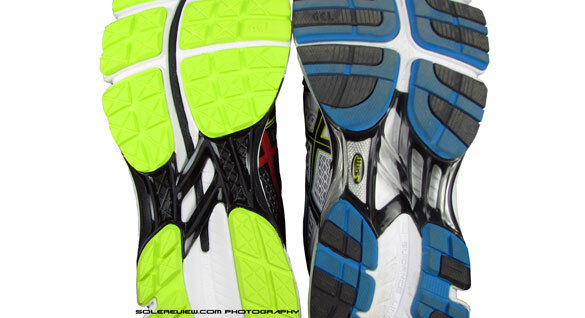 The outsole is redesigned, shifting focus to smaller lugs instead of the expansive pieces on the Kayano 18. The blown rubber lugs act as a separate dampening unit, with each piece separated by flex grooves. The midsole flex lines are wider on the inner side, opening up more area. Finally the ‘guidance line’ is deeper longitudinally in the forefoot, made possible by a gap in the lower midsole foam and exposing the black layer. With all these tweaks, improved flexibility should appear to be a logical payback, and it indeed is. The Kayano 19 bends its forefoot with more much vigour than the 18, and the revised 60:40 midsole foam configuration maintains the firm underfoot push-off. The pronation controlling midsole foam which Asics calls the ‘Dynamic Duomax’ continues to be a part of Kayano 19, albeit with a small difference. This firmer density of foam appears on the Kayano as the same color as rest of the midsole, and might trick inexperienced eyes into thinking that the dual density medial post is now gone. It is still very much there, and no technological wizardry here. Just that Asics uses a tone-on-tone harder density foam during the midsole molding process, resulting in visual camouflage. 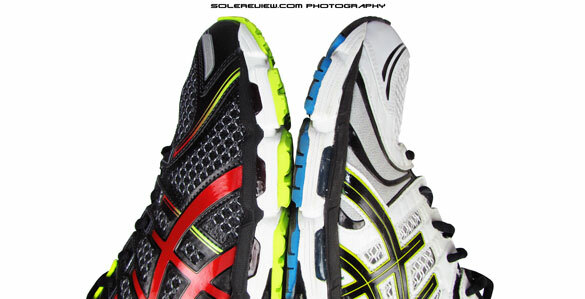 The harder density foam arrests the excessive inward roll, which makes the Kayano work for over-pronators. The upper of the Kayano 19 sheds a lot of bulk relative to the 18, thanks to the extensive use of seamless synthetic and urethane overlays. 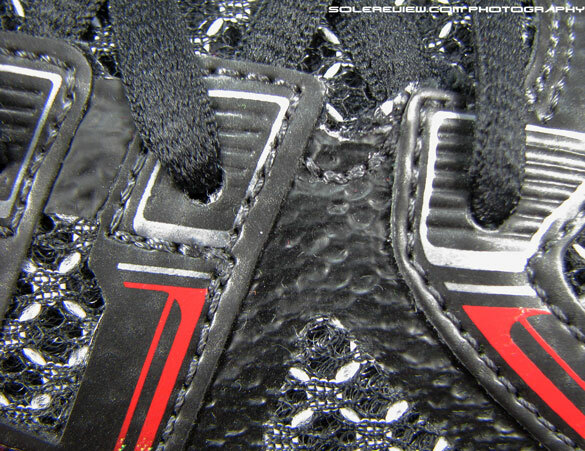 When laced up, the upper feels much closer to the skin; the eyestay sits flatter on the tongue surface, resulting in a better wrap around the foot. If the Kayano 18’s upper was about asymmetric design, the Kayano 19 reverts back to a traditional, centered construction. Not much difference in top-down lacing pressure, but the bonus of Kayano 19’s re-engineered upper is more forefoot space – as the upper does away with the welded TPU overlays on both sides of the forefoot. In the back, the collar foam (PHF in Asics lingo) has more pronounced curve than the 18, gripping the ankle with padded competence. Rest of the upper behaves as it should, with all materials feeling and looking expensive, making the $150 retail price look acceptable. That’s the Kayano 19 for you. To sum up, more cushioning everywhere, plush materials all around and better forefoot room than the Kayano 18. If you were looking for more stability, then look elsewhere (Brooks Adrenaline 14) or buy the much cheaper GT 1000 2, which runs firmer due to the way is midsole is constructed.